Do you need to rent a porta potty for an event or construction site in the Delmarva area? Or an upgraded restroom trailer for a wedding or party? At Peninsula, our standard porta potties are ultra-clean comfort stations—and our deluxe versions are full-size restroom trailers with all the amenities! No matter what style of portable restroom you need, Peninsula can deliver it—on time and in immaculate condition! Call Peninsula at (302) 629-3001 or contact us online to learn more about our portable toilet rental options in Delmarva today! Our signature red porta potties are perfect for construction sites, remodeling projects, large public events, festivals, fairs, sporting events, and more. Recently our portable restrooms have had starring roles at events like: the Bridgeville Apple-Scrapple Festival, Ross Mansion Heritage Festival, Salisbury Festival, Dover NASCAR event, Delmarva Chicken Festival, and many more. We also were part of the recent Extreme Makeover: Home Edition build in Sharptown, Maryland. These highly-visible portable restrooms feature sturdy construction and completely sanitized interiors. We put each unit through a 10-step cleaning process before on-site delivery to ensure its hygiene. Keep your crew comfortable and happy by having our clean, convenient porta potties installed on your job site. These roomy, bright red portable toilets are fully sanitized and delivered directly to your construction site. You can rent our porta potties for a few days or a few months—however long you need them. We also provide weekly cleaning. Our knowledgeable staff can help you determine how many portable restrooms you’ll need based on the number of people working on your site, the duration of the project or event, and other factors. We want you to have exactly what you need. We recommend you reserve your portable restrooms well in advance to ensure availability. To schedule porta potty rental for your construction site or event today, call (302) 629-3001 or contact us online! Our luxury restroom trailers are perfect for wedding receptions, family reunions, large outdoor parties, and other events. Our friendly staff will work with you to choose the best restroom for your event. When the day arrives, we’ll set the facilities up so that they look elegant and are easy to access. Each room is fully stocked with soap and paper products. We anticipate everything, and we work hard to ensure your satisfaction. We recommend you reserve your luxury restroom trailer well in advance to ensure availability. To book a portable restroom trailer today, call (302) 629-3001 or contact us online! At Peninsula, we are happy to be the premier provider of portable restroom rentals for construction sites, weddings, parties, sporting events, festivals, and more. You can count on us for reliable service, on-time delivery and pickup, and thoroughly clean and sanitary portable toilet facilities. Rent your portable restroom from Peninsula and you won’t have to worry about a thing! Call Peninsula at (302) 629-3001 or contact us online to reserve your porta potty or deluxe restroom trailer today! 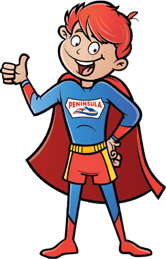 Why Choose Peninsula in DE & MD? 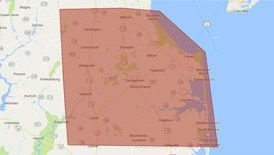 We have been proudly serving the Delmarva region since 1935. We care about our neighbors and each and every one of our customers. We believe this commitment to quality customer service sets us apart from the rest. Our customers rely on us for dependability, service, quality, and value. That’s why so many of them have been with us for decades! We work to make every new client a customer for life. To learn more about Peninsula and our wide variety of services, call (302) 629-3001 or contact us online today!